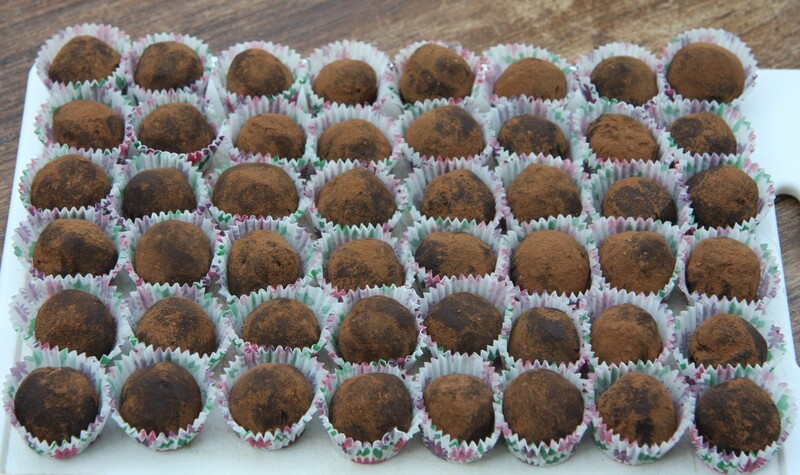 Homemade truffles are very easy to make but always seem quite impressive. They are perfect for the end of a meal or as a gift. I made these for a lunch with friends for Royal Ascot week. Royal Ascot, if you haven’t heard of it, is one of the most important horse racing events in the calendar. It lasts for a week and is “Royal” because the Queen attends every day. She leaves Windsor Castle by car and is driven through the Great Park where she and the most important members of her party get into the horse-driven carriages that they take to the racecourse. 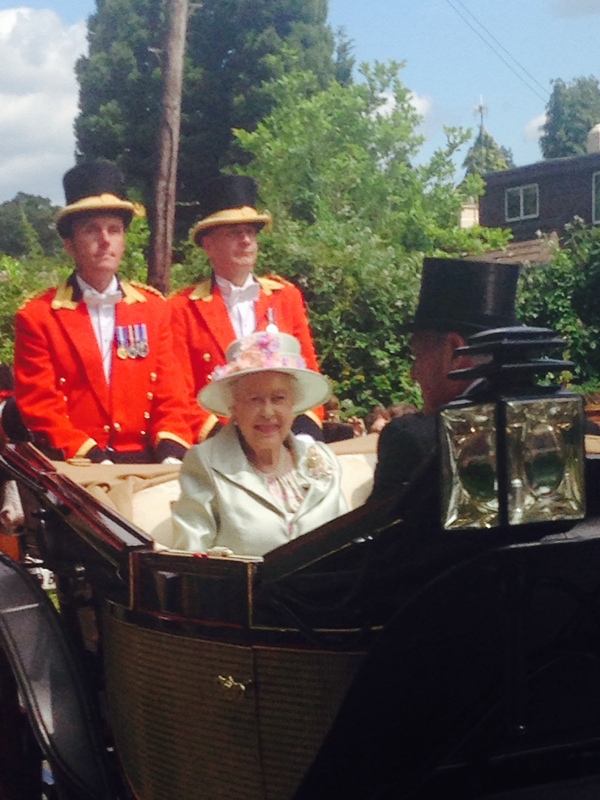 Waving at the Queen as she passes in her carriage has become a tradition: I look forward to it every year. It almost makes up for a week of chaos and traffic nightmares! My friend Vana organises a lunch for the mums in our sons’ school year and we each take a dish: this year there were about 20 0f us, which means a lot of very delicious food. Last year I made Eton Mess but someone beat me to that this time and there were so many different desserts planned already that truffles seemed like a good option. 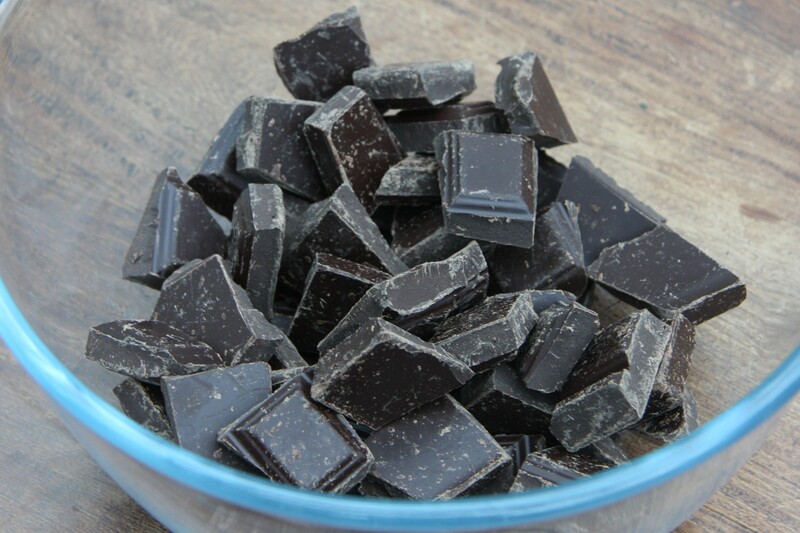 Break up the chocolate into pieces and put in a large heatproof bowl. 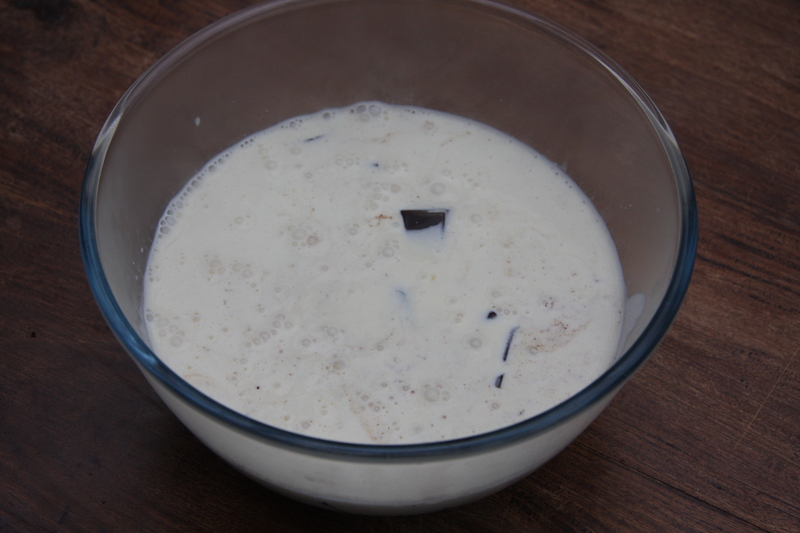 Heat the milk and butter to just below boiling point and pour onto the chocolate. 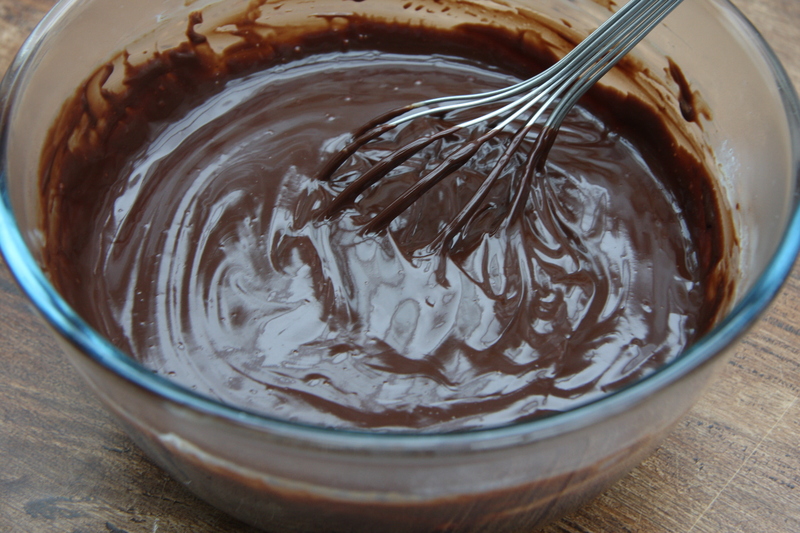 Mix well until all the chocolate has melted. Refrigerate for several hours, until the mixture is firm enough to make into balls. If it becomes too firm just leave it at room temperature for a little while. 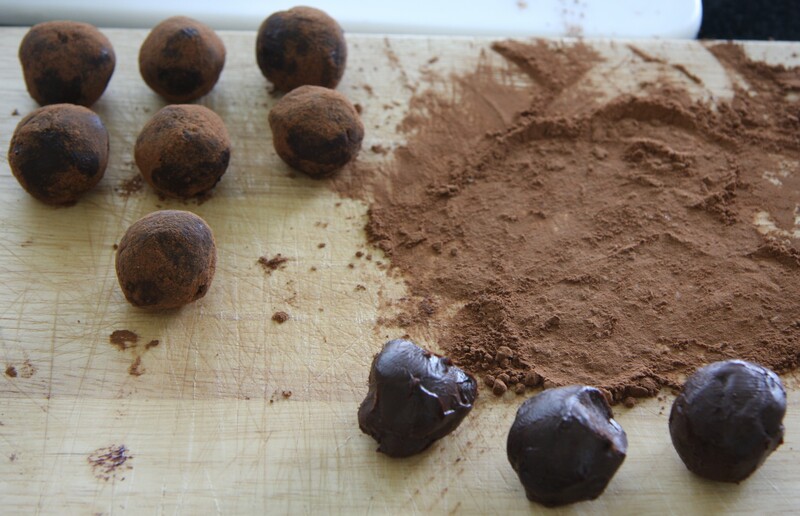 Scoop out small amounts of truffle mixture and form them into rough ball shapes. 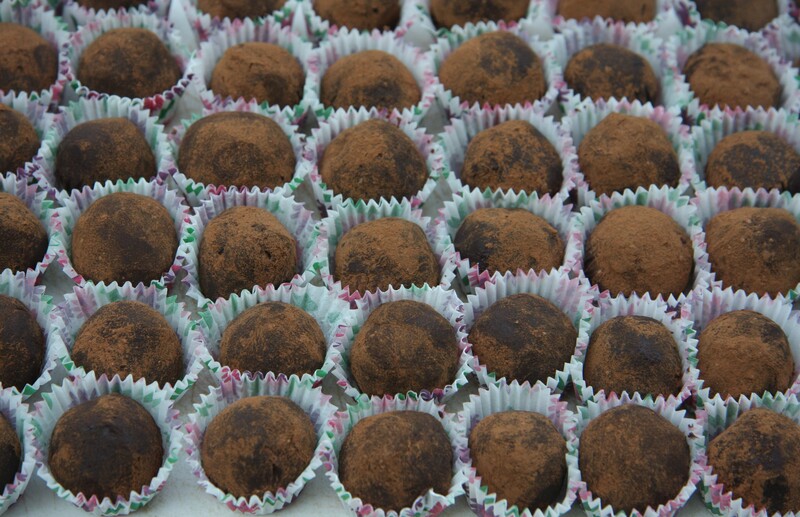 Put a heap of cocoa powder onto a board and gently roll the truffles in it so they are fully coated and more spherical. I put mine in petit four cases as I thought they would be easier to transport and serve but they look great on their own as well. Love truffles! I bet these are delicious! And they are certainly fit for a queen! You got such a great photo!!! Thank you – I shouldn’t have put it on zoom and it would have been much better! Don’t like taste cocoa alone can I mx icing sugar with it to roll them n? Hi, thanks very much for your comment – yes, you can roll them in whatever you like, icing sugar on its own if you prefer, or chopped nuts, desiccated coconut, etc. I hope you enjoy them!